It has been a long time since we’ve done a Twitter tasting, the last we did was organised by Appleton, which we thought was great. 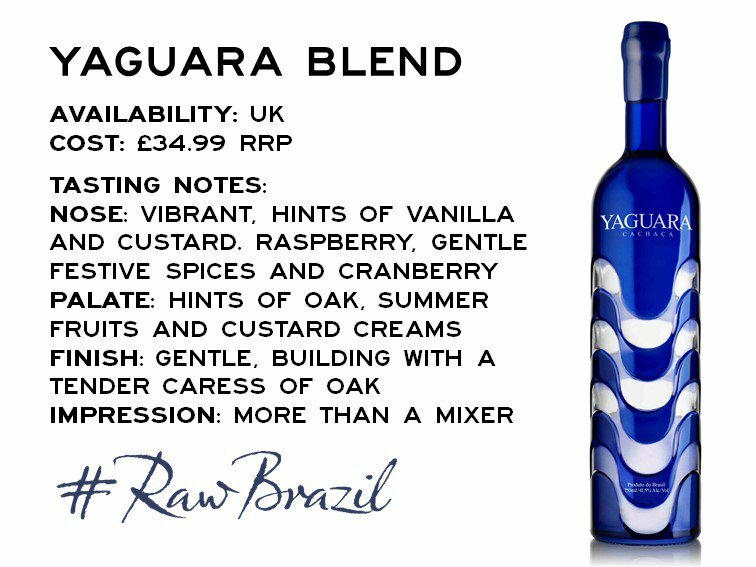 This new Twitter tasting was with Yaguara cachaça, organised by our rum buddies from The Floating Rum Shack. As far as Twitter tasting goes, it is assumed that you have some interest in the ‘juice’ category, which in this case was cachaça. On these occasions, the organisers will let you know who you need to follow to get selected, as it’s usually limited numbers, and which hashtag to use in order to be entered in a draw, if that’s the selection process chosen. It is random to a certain extent, as a handful of lucky peeps gets pre-selected. If you are selected, you will be contacted, and then sent the tasting kit by post. Now onto the actual Twitter tasting…. 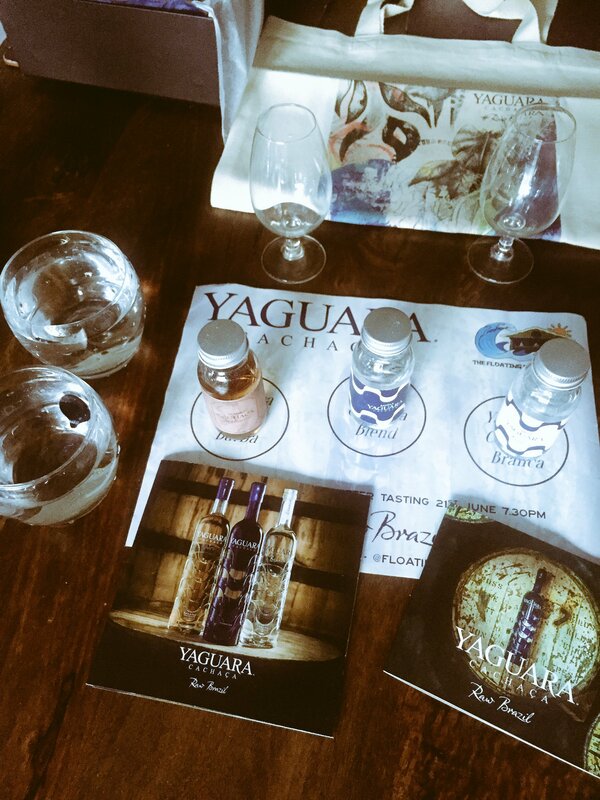 Our miniature bottles were placed nicely on our tasting sheet, ready to be introduced to the cachaça Yaguara brand. 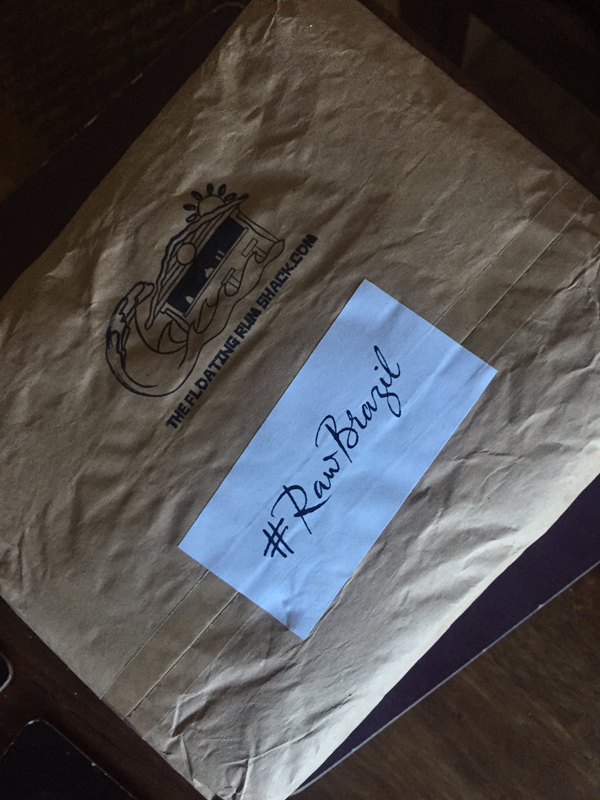 The #RawBrazil Twitter tasting started with a brief introduction of the brand, by The Floating Rum Shack, followed by representatives from Yaguara themselves. We started with the cachaça Do Barba, which made its first appearance in front of UK consumers on the night. Ripe fruits on the nose, with a slight smokiness and nail varnish, and overall, smelt a bit rum like. In the mouth, it was sweet, slightly smoky and woody, with a demerara sugar aftertaste. We thought it tasted a bit harsh on first sip, but then the spirt mellowed after leaving it to sit in the glass for a few minutes. There is no colouring added, and there was also no age statement. 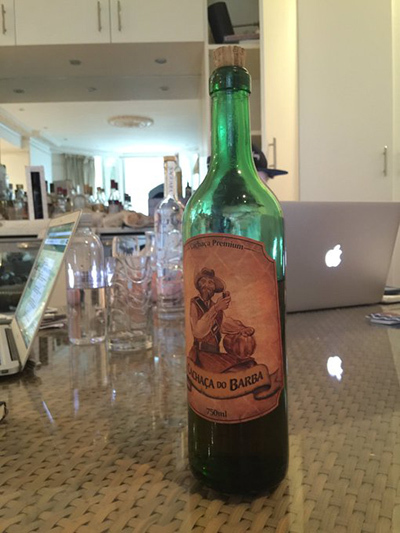 Unfortunately, it is very unlikely that the Do Barba will be sold on the UK market anytime soon, as it seems that it is a family cachaça, which you can guess by the look of the bottle, compared to the other two. Our second sip of the night was the Branca. 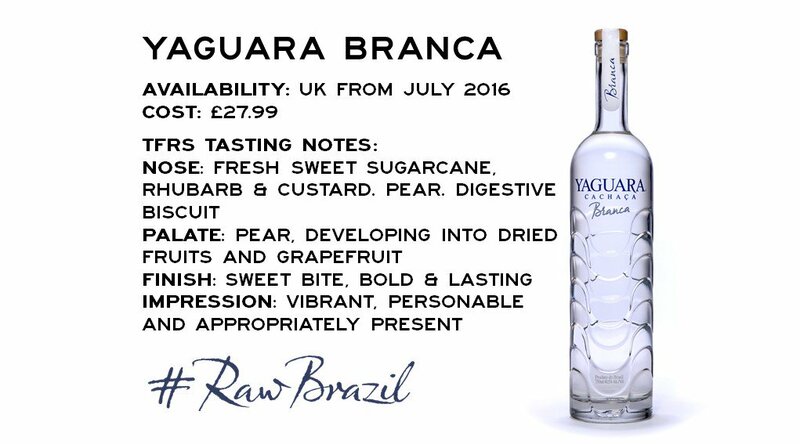 Fresh and sweet on the nose – back to the classic cachaça aroma – and super smooth and less pungent in the mouth. The Branca will be available in the UK at some point in August/September this year, rather than in July. Onto our last sip of the night, which was the Blend, which as the name suggests, is a blend, made of white cachaça, and the Thyrso family’s Barba recipe. On the nose, it is very similar to Branca, maybe a bit more yeasty, and grassy. It was smoother than Branca in the mouth, with a dry and long finish. At £35 the Blend seems to be quite reasonably priced, for a spirit that is ‘more than a mixer’. You can purchases this lovely bottle from Amathus Drinks. All three spirits are real artisan cachaças, made using an alembic pot still, rather than the more industrial column still. This is one of the reasons why the spirit is so flavourful, and a further plus, it is all done in a fully sustainable process. Considering that using a pot still method is more expensive than a column still one, the price point for each of them seems very reasonable for the quality you are getting, compared to some more expensive and less flavourful mass-produced spirits on the market. We could not end the night without picking a favourite, which for us was the Blend, and it was literally a blend of what we thought were the best bits of the Do Barba and the Branca. On top of that, we also really like the Blend’s aesthetically pleasing blue bottle glass design, which is the work of Brian Clarke, one of the world’s most famous stained glass artists. It was a fun and educational night, with about 60 of us taking part. The twitter thread was pretty active, which made the Twitter hashtag #RawBrazil trend on the night! You can find The Floating Rum Shack on Twitter under @FloatingRumShac and Yaguara cachaças under @YaguaraCachaca. Looking forward to more Twitter tastings in the near future! Yes, I am looking at you The Floating Rum Shack! You can find us on Twitter and Facebook. Until next time, keep rumming!